and it is set from the author of the theme for specific purposes of course. //remove all the generated images and just keep only the original and the thumbnail image. How is possible to stop the generation of post-thumbnail image from inside the parser and without removing the original set_post_thumbnail_size as it is set there for other specific purposes? which is actually the name of the image. Not the answer you're looking for? Browse other questions tagged images uploads attachments thumbnails or ask your own question. 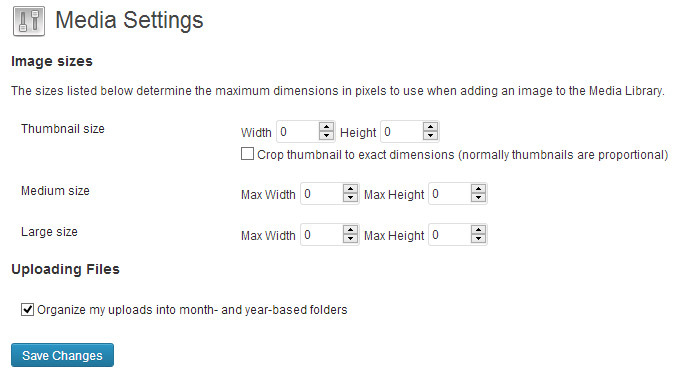 How to disable generation of default image sizes for some custom post types? How to reduce original image quality on upload?